It’s famous for starting revolutions and keeping Sally Bercow busy but what can Twitter do to supplement and enrich adult education? 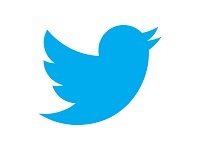 Here’s a list of 20 benefits of Twitter for students and educators. Do you agree with the list? Are there more benefits? Do you think it’s over-hyped or a waste of time? Another thought provoking post Ann. Digital platforms always provoke debate – do they create opportunities or do they exclude people? They are probably most effective where they can be integrated as part of broader engagement as is the case with the WEA. Twitter provides another opportunity and yet is not the only way of achieving similar outcomes. Love it or hate it, twitter (and its counterparts) are probably here to stay, so if the WEA can use it productively to engage and communicate then ultimately the organisation and the students ultimately benefit. It will always be a complimentary technology rather than a replacement for alternative and more traditional forums. Thanks for taking the time to reply Sarah. Good analysis of where we are. Great write up, again, Ann. – Learning of stuff before it hits the mainstream media, sometimes I also hear stuff on twitter that never gets big enough to hit the mainstream media, but is still very interesting i.e. Who hears of TED talks http://www.ted.com/talks in the mainstream media and yet they are incredibly insightful and incredibly educational. – Having an insight into the thoughts and learnings of very respected and sucessful individuals, I was sign posted recently to the book “Mandela’s Way” by a tweet from Richard Branson, prior to this I knew little of Mandela and his idea’s, now, as with the benefit of many books, I am far richer in the knowledge of this great and increible individual and personally wasn’t aware of the extent of his incredible journey. – Developing connections that could NEVER happen in the real world ! I tweeted about the Pitmen painter’s comming to my local theatre, from this I got an insightful and useful response from an idividual about the presentation, I asked the individual what their connection was with the Ashington group, I got the following response ! – “I am acting as trustee for the group, it’s voluntary and mostly about managing royalties.” – purely incredible and rarely occurs in the real world ! Thanks for sharing your experience Steve and for giving some practical examples of how Twitter works for you. Thanks for the links too. I hadn’t come across http://allmytweets.net and http://snapbird.org.